Rice is a precious fruit from the earth. With a great history and its extraordinary nutritional properties it is an essential food for a balanced diet. Rice is an irreplaceable starting point in cooking. From traditional recipes to modern and creative dishes, rice can become a major player at any time of the meal, from appetizers to desserts! Arborio is a short-grain variety of rice. 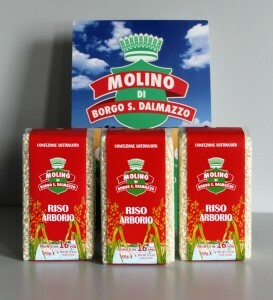 Molino di Borgo San Dalmazzo selects Arborio rice exclusively among the best in Italian farms, to offer you a product which stays firm after cooking and whose grains remain compact and well-separated. Arborio is perfect for your risotto and is also used for rice pudding. Vercelli – Piemonte – Italia. Carnaroli rice is an amazing Italian product, grown in the Vercelli and Novara provinces of northern Italy. 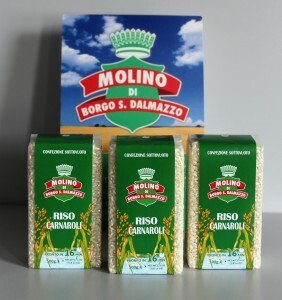 This “King of Rices” is traditionally used for making risotto, because it got a high starch content and a firm texture. Carnaroli rice keeps its shape better than other forms of rice during the slow cooking required for making risotto, which makes it perfectly suitable for “haute cuisine” recipes. Novara and Vercelli – http://www.cialisgeneriquefr24.com/cialis-en-vente-libre-en-suisse/ Piemonte – Italia. Roma is a very versatile rice, the one to always keep in your pantry. The flavor and the delicate fragrance of its grains, grown exclusively in Vercellli, northern Italy, makes it the perfect match to any relish. 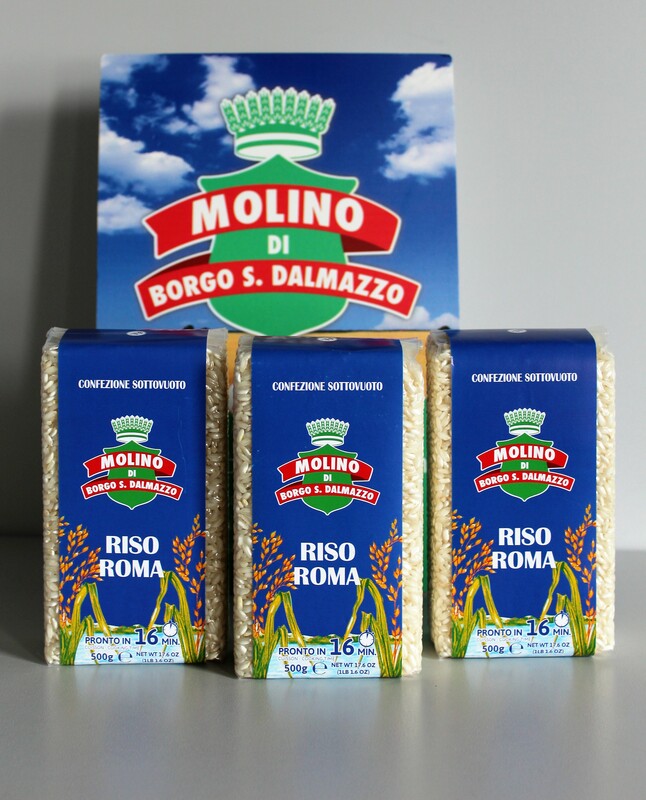 Molino di Borgo San Dalmazzo’s Roma Rice is perfect for pies, rice salads and soups. An exotic rice, which comes from afar. The Basmati Rice selected by Molino di Borgo San Dalmazzo is grown only in India, at the foot of the Himalayas, and brings to your kitchen all the flavor of the East. It is so fragrant, it can also be enjoyed simply boiled with a little olive oil. 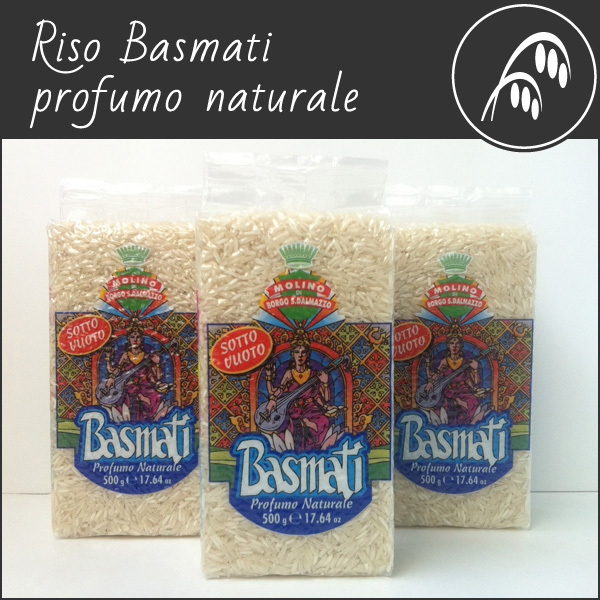 Basmati is also a perfect match to very spicy and bold flavors dishes. 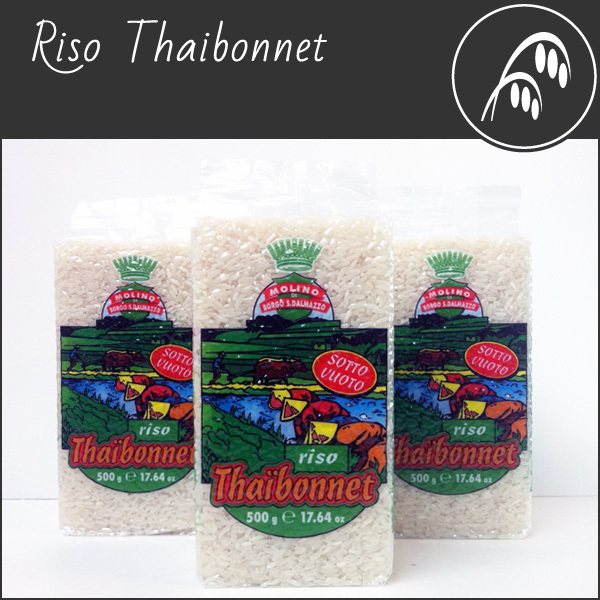 Thaibonnet is a long-grain rice grown in Italy. Molino di Borgo San Dalmazzo offer this rice only vacuum-packed to preserve its organoleptic and nutritional properties. The shape of the grains and the lack of stickiness, make the Thaibonnet perfect for making rice salads and as a side dish. Venere rice is a valuable product from the earth, of ancient origins. Very difficult to grew and characterized by a natural and intense fragrance, it was reserved for the Chinese imperial family only. 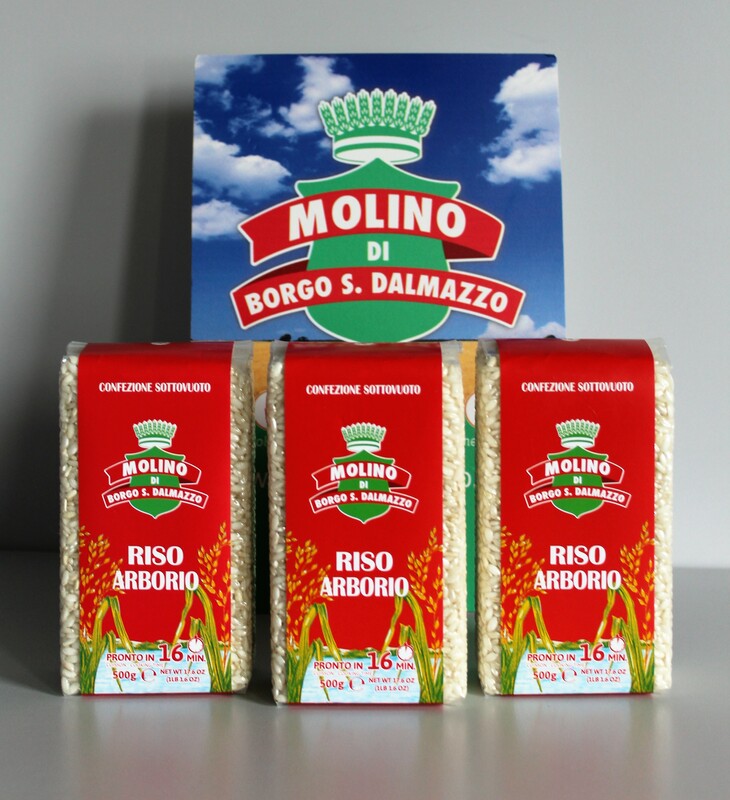 Molino di Borgo San Dalmazzo offers you a Venere coming exclusively from best rice fields of Vercelli, Piedmont. Thanks to its extraordinary nutritional properties and fragrant aroma of freshly baked bread, Venere Rice is the perfect match to fish, shellfish or meat. 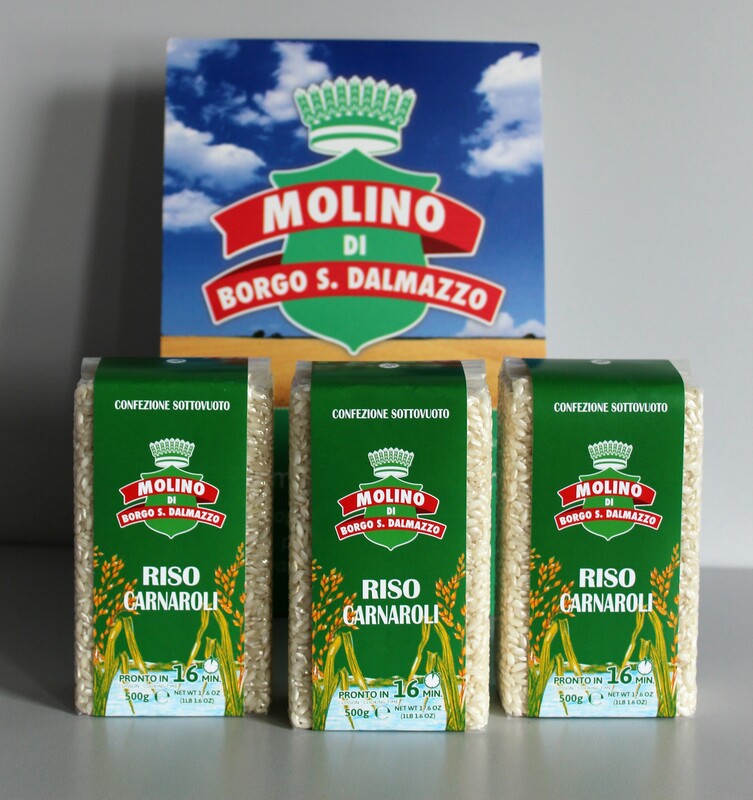 Risotto Primaverile by Molino di Borgo San Dalmazzo is prepared with simple and natural ingredients: parboiled rice, peas and lentils. You can cook it as a risotto: fry a little olive oil and a bit of chopped onion in a pan, then put in it the contents of the envelope and fry for a few seconds, and then gradually add hot broth (meat or vegetable) until cooked. 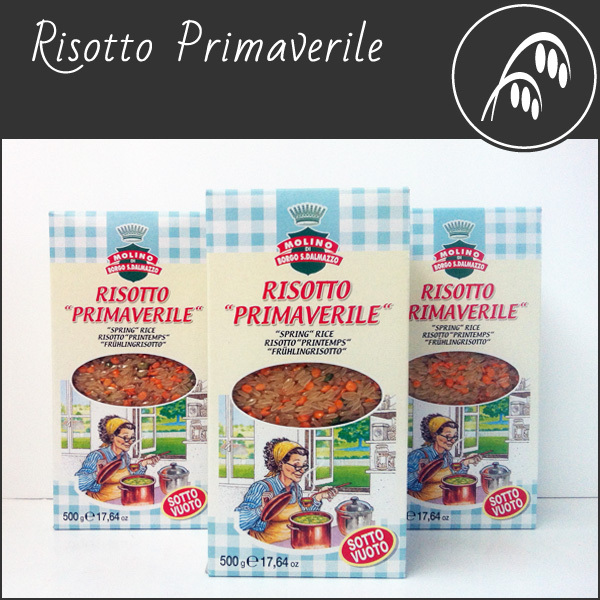 Risotto primaverile can also be prepared as a classic rice soup. 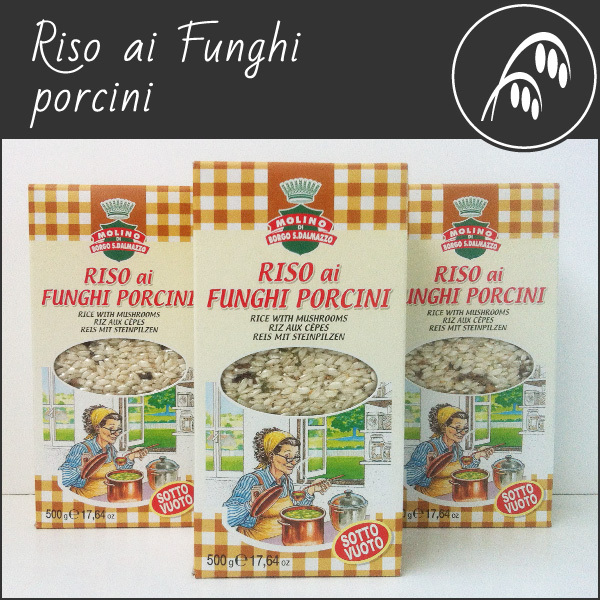 Rice: Vercelli – Piemonte – Italia. Porcini mushrooms are an extraordinary ingredient: its able to evoke, with its scent, the colors of autumn and the warmth of a lunch-time spent with your family. 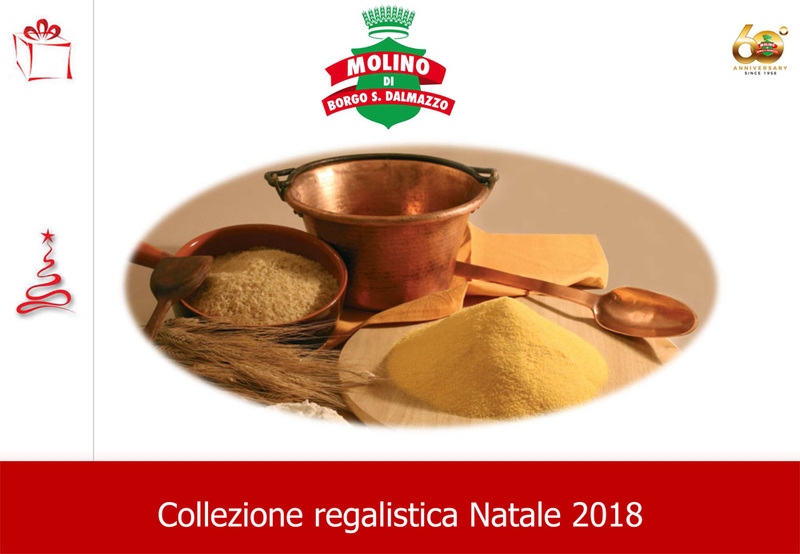 Molino di Borgo San Dalmazzo, for its Risotto with Porcini Mushrooms, selects only the best Carnaroli rice and natural high quality ingredients. to cook as a classical risotto. Carnaroli Rice: Vercelli – Piemonte – Italia. Porcini Mushrooms: Piemonte – Italia.